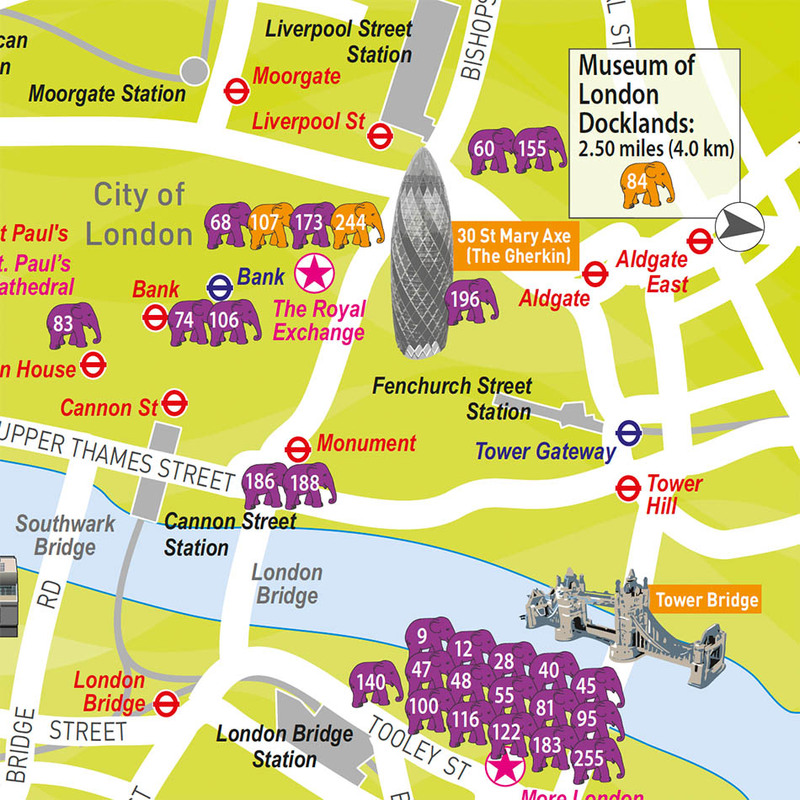 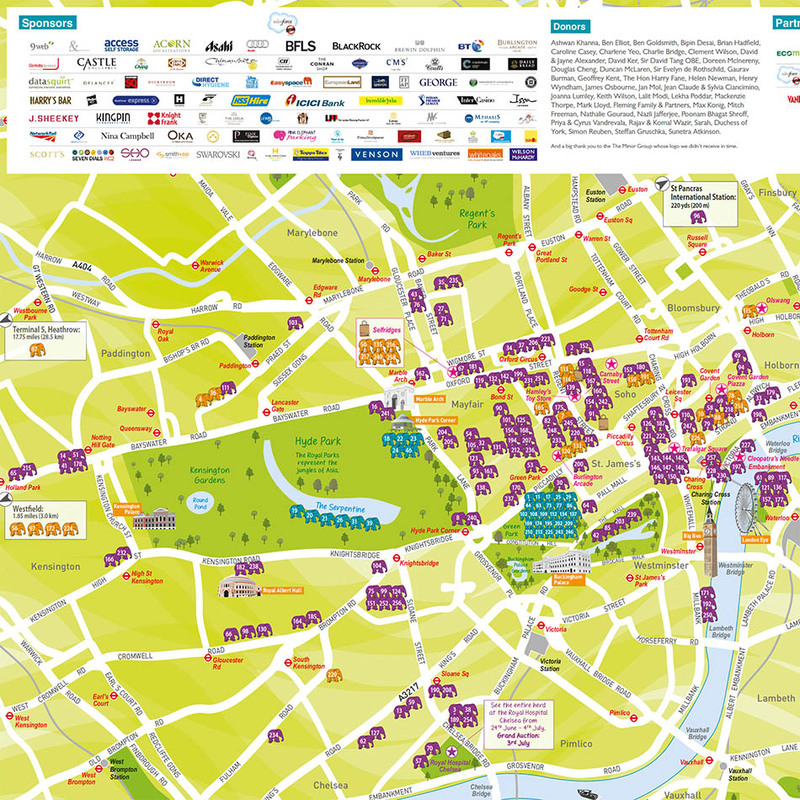 A bright playful map design with 3D illustrations of some of London’s key buildings. 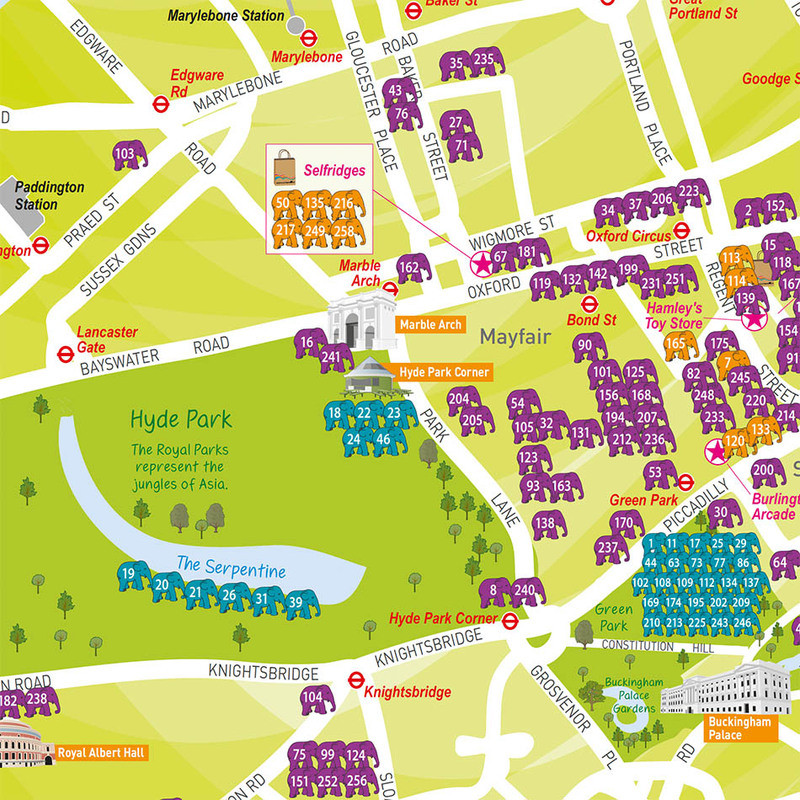 The 260 numbered elephant icons were carefully positioned on the map so as not to obscure text. 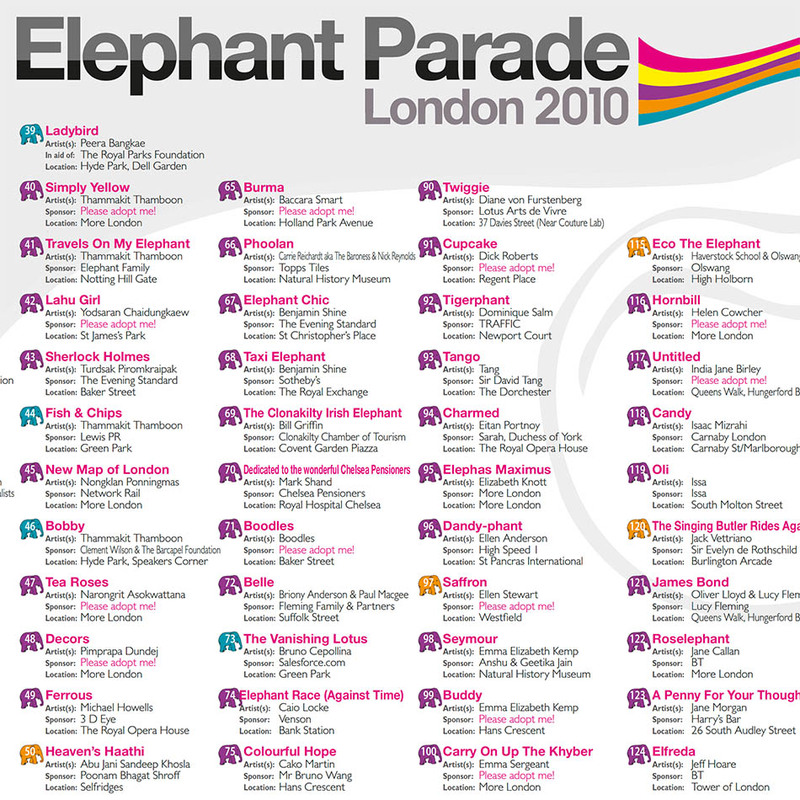 A full listing of elephants was also designed.